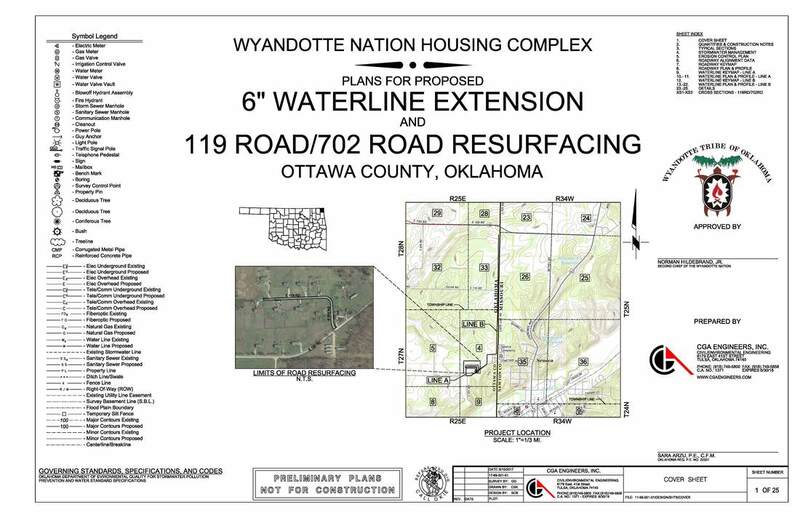 CGA Engineers was selected by the Wyandotte Nation of Oklahoma to design one of 15,000 linear feet of 3" waterline along State Line Road and design road improvements at the Wyandotte Nation housing development. This project will be funded by the Bureau of Indian Affairs and HUD. CGA will design and provide services during construction for the 1,000 feet of roadway and 15,000 feet of waterline. CGA will also provide right of way services including legal descriptions, right of way negotiations, filling of easements and topographic survey. Tasks involved are planning, design, construction and geotechnical evaluation. This project is currently under conceptual phase.